Drumming is fun, energizing and immediately accessible. Megan has offered multiple group drum circle experiences to enhance team building, leadership, wellness, promote a sense of community, as stress release, to increase energy, to enhance communication and relationships, or as an experiential complementary and alternative medicine component of a retreat, conference, or corporate program. A variety of world percussion instruments are provided for drumming experiences. Participants are also welcome to bring their own instruments. Drumming in modern day drum circles provides an incredible opportunity to release stress and tension while also creating feelings of increased energy. Drum Circle experiences can be as short as a 15-20 minute demonstration or 1 to 2-hour full experiential session. 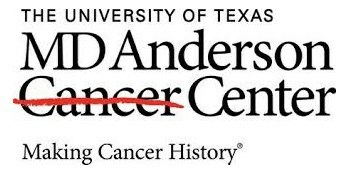 Participants do not need to have any previous experience in music or rhythm to participate. We are all naturally rhythmical – we are made up of multiple physiological rhythms – our most basic beat being our heartbeat! Drumming provides a fun, non-threatening, interactive experience that can provide participants with new metaphors for approaching and coping with life challenges. Please contact Megan directly for specific event and drumming requests. Megan Gunnell led us in a magnificent drum circle. We were surprised to hear that drums can talk, answer each other and compliment each other, as we traded drums and other instruments during the session. No talking was allowed during this session except by Megan, the leader, who gave us brief instructions at the beginning of our session. MESMERIZING! I love music and had never participated in a drumming circle before. I wanted to keep drumming long after it was over. It took me to a different place emotionally and allowed me a moment in time to truly focus only on the music and set aside the craziness of every day life. Megan is trained to use the Mandala for personal insight, growth and discovery. The Mandala originated from a Tibetan monk tradition of creating intricate circular designs out of colored sand. Once completed, monks would carry the sand to water or release to the wind as a symbol that things are always changing and nothing stays the same. Carl Jung brought the mandala into modern day psychology as a tool for personal insight. Art therapists use the mandala in their work as a tool for assessment and support. Megan often uses the mandala in her individual sessions, workshops and retreats as a non-verbal, meditative exercise that helps enhance creativity and reduce stress. Starting with a blank sheet of paper and using the circle template as a guide, participants are taken through a short centering exercise to clear their mind and feel grounded. Using oil based or chalk pastels, they then begin creating their mandala through color, line, texture and form. Once complete, we discuss the process through a series of questions and interpretations of the mandala stages and shapes for further enhance insight, growth, healing and discovery. 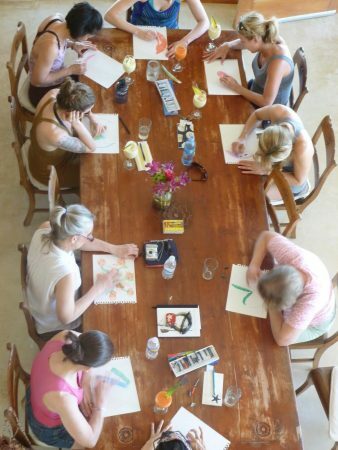 Photo: Guests from a Costa Rica Retreat creating mandalas in a creative workshop offering. Please contact Megan directly for specific Mandala session requests. While tranquil music was playing in the background, we each created a Mandala by just following our impulses to do whatever we wanted to do on paper with colors. We found, to our surprise, that our Mandalas told a good piece of the story of our lives. Without realizing what we were doing, our art spoke for and about us. AMAZING! Mandala’s are very fun. I had colored some previously but I find it very relaxing and uplifting as a allow myself to not think at all but just enjoy the coloring and let my hands take my stress away. Interpreting my mandala gave me such a sense of knowing and a deep understanding of what I’m currently going through. Creating the mandala was very relaxing and meditative!